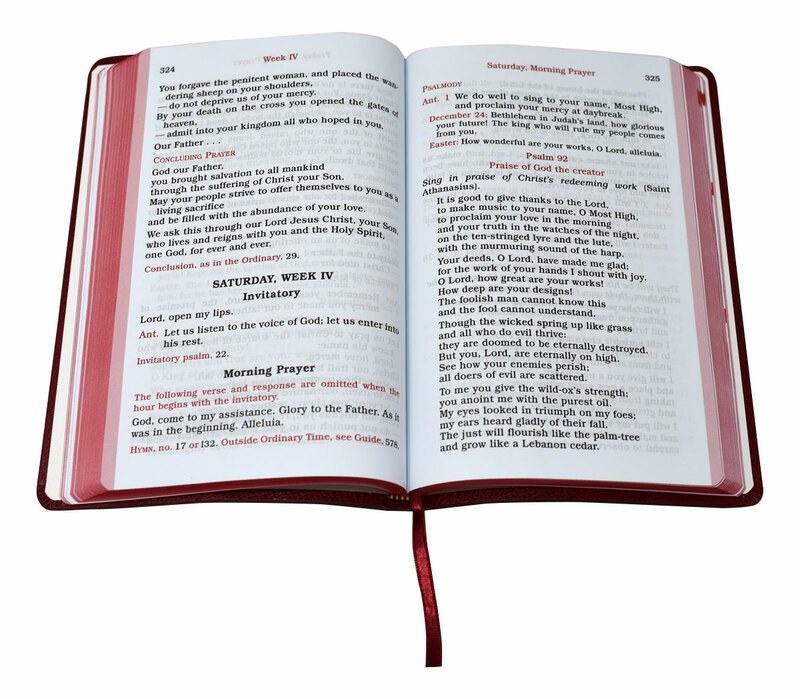 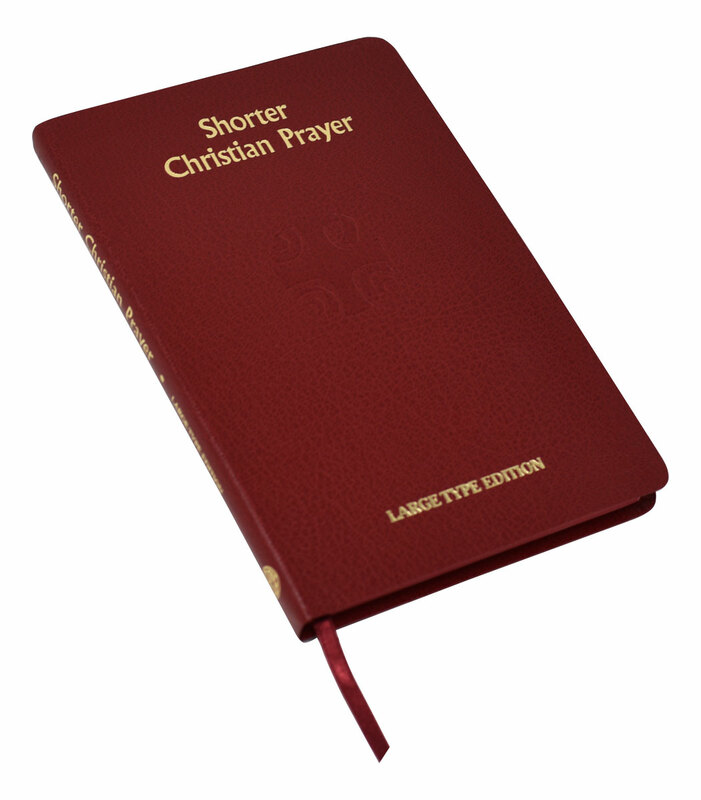 Shorter Christian Prayer from Catholic Book Publishing is an abbreviated version of the internationally acclaimed Liturgy of the Hours containing Morning and Evening Prayer from the Four-Week Psalter and selected texts for the Seasons and Major Feasts of the Church Year. 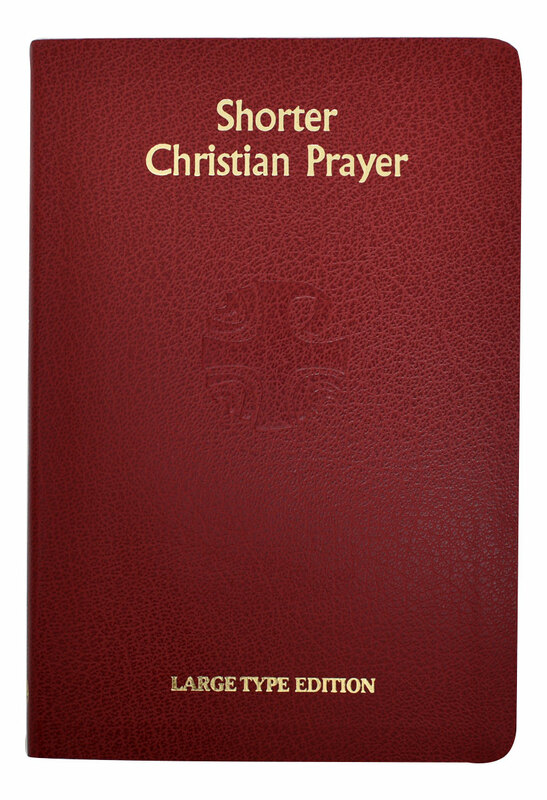 Printed in two colors in large, easy-to-read type, Shorter Christian Prayer includes handy ribbon markers and is bound in flexible maroon simulated leather. 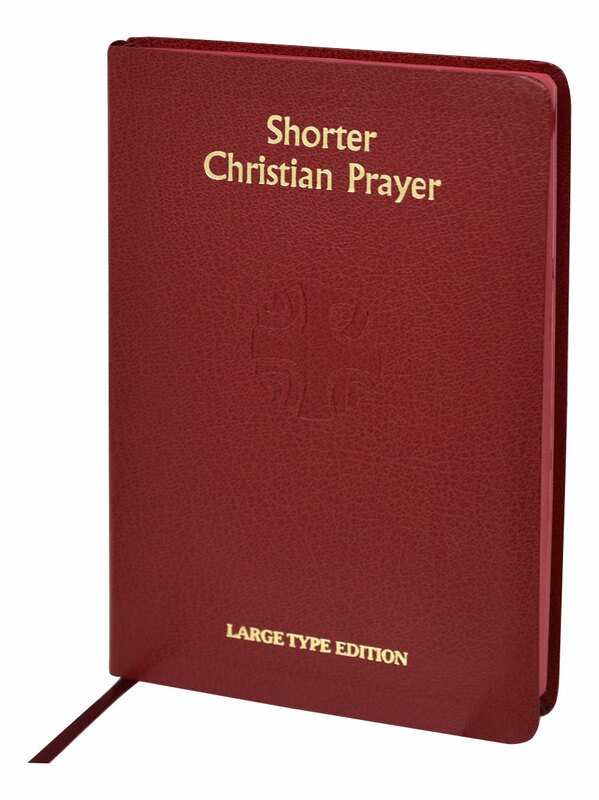 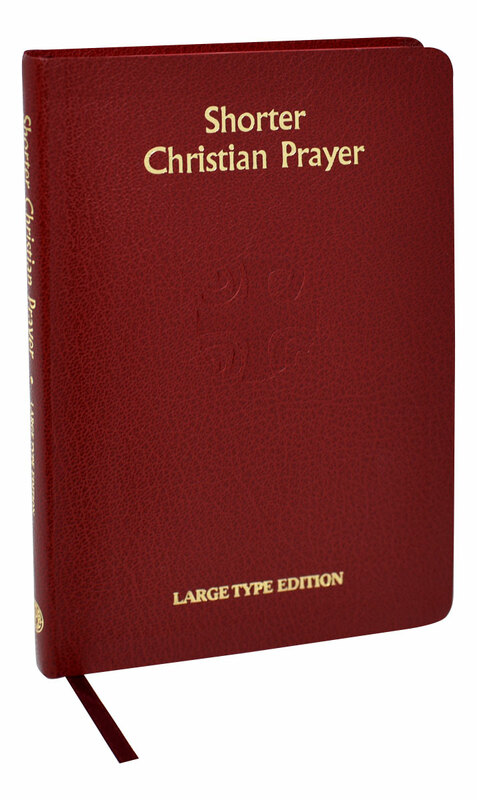 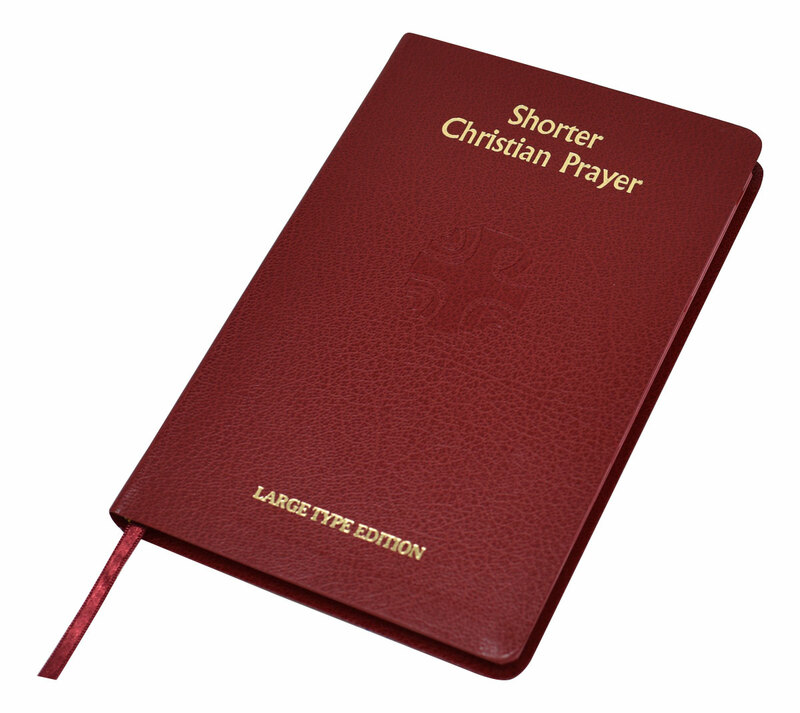 This Large Type Edition of Shorter Christian Prayer follows the traditional-size edition page for page.